From communications devices to internet connectivity, the telecommunications industry plays a vital role for both the modern-day consumer and the modern-day business owner. In the area of B2B in which there is a constant need to bridge gaps and move forward, the choice of a telecom product or service is critical towards success. When it comes to finding telecom solutions, businesses know fairly well that they need only the best that the sector has to offer. As far as spending for telecom solutions is concerned, the industry will most likely reach $1.427 billion by the end of 2018, according to Statista. This only proves that companies still look towards the telecom as a vital resource for streamlining their internal operations on top improving audience outreach initiatives. In fact, trends such as big data and the demands for faster internet speeds are compelling telecom companies to work towards satisfying these demands and, more importantly, promoting them to the right audiences. In response to an increasing demand for more efficient offerings from their industry, telecom companies will have to come up with better methods that will allow them to generate as many opportunities as possible. For this reason, B2B lead generation provides a telecom company a way to widen its reach, engage prospects, and boost its bottom line. But aside from using digital platforms to carry their messages, telecom companies can also make use of traditional methods to increase the number of leads entering their sales pipelines. One thing’s for sure, telemarketing remains to be a highly effective means of generating high-quality B2B leads, and it should be included in any marketing strategy in the telecom arena. For an industry that emphasizes the use of technology in building networks and strengthening relationships, telecom is all about making things easier, simpler, faster and more productive through communication. It makes sense then for new and veteran players to improve the way they communicate with their audience. Digital marketing using social media, landing pages, and blogs, provides a logical step towards maintaining stronger ties with your clients. But like any piece of technology, these modern tools have their limitations and they don’t promise results that are any better than when you’re using traditional means. Among the most important of these “cons” according to marketing podcaster Brandon Gaille, using social media demands a lot of resources and the fact that ROI in digital marketing is difficult to gauge are being confronted by both startups and major telecom brands. On top of that, points out that digital marketing strategies are easily copied and that there is a need to exercise caution in targeting your audience as first impressions are critical to your success. Still, digital marketing has its perks, but to further drive success, you must need to make use of other channels as well. In the case of B2B telemarketing, companies are assured of getting the right amount of leads to fill their sales pipelines. It does this by being allowing companies to directly engage prospects. Talking on the phone with someone who needs to purchase a large-scale VOIP product allows you to respond immediately to questions and other concerns. This directness makes telemarketing an important option for companies that need to give prospects the things they wanted to hear and to provide the bigger picture about their offers in ways that are restricted in digital marketing. Aside from this very basic benefit, telemarketing can also increase the competitiveness of a telecom company by being able to deliver intended results faster. Quality products and services have always been the driving force of success for telecom companies. Still, being able to come up with a strategy that integrates outbound calls is crucial in achieving long-term goals. In order to make your outbound campaign more efficient and productive, you will only need to build the right infrastructure, train the right individuals, and craft the right messages. You will be able to achieve these by simply making the necessary investments in talent and tools that will seamlessly help you accomplish your goals. You realize by now that “old school” marketing is still as relevant as ever, and it’s time for you to show some love for telemarketing and the benefits it puts on the table. This year and beyond, B2B companies in Australia will have to live under the strict regulations of the Australian Communications and Media Authority as new inclusions in the Do Not Call Register Act of 2006 have been officially implemented early this year, dramatically limiting the lead generation telemarketing efforts of these companies. The new amendments include permanent untouchability to anyone wanting to opt out of telemarketing calls. ‘This means that the more than 10 million numbers currently on the Register will never need re-registering,’ said ACMA Chairman, Chris Chapman in a press release posted on the agency’s website. This, however, does not entirely mean the end of B2B telemarketing in Australia. In reality, the new regulations indicate a need to outline DNC compliance. One approach is to use data profiling for making necessary precautions and avoiding complaints. The ACMA requires businesses engaged in telemarketing to present their contact lists and compare against current DNC files. To make sure none of your contacts are included in ACMA’s database of restricted contacts, you can verify names, addresses, and telephone numbers effectively. This will avoid possible lapses that may lead to violations and eventual penalties. As mentioned by Chapman, there are around 10 million telephone numbers currently in the DNC registry. The chances of having one of them in your contact list is extremely high, so you are always hard pressed to second guess every lead that comes your way. You can use client research to scrub your lists of any names and contact numbers considered off-limits to your telemarketers. Software products now come with features allowing marketers to effectively filter out unwanted targets. The choice of a sophisticated auto-dialer can provide advantages as well, especially if your choice of brand allows you to review a contact’s profile and other pertinent information about it while the call is being placed. Inbound campaigns offer safer ground for businesses that need to increase their bulk of high quality B2B leads. Maximizing this area means structuring relevant web and social media content to resonate well with current trends. Using data profiling, you are able to identify audience pain points and create content in line with their current needs and preferences. This allows you to discover contacts not yet in ACMa’s list. In marketing, whether B2B or B2C, communication is an important factor since the main goal is to build long-term relationships. Thus, different methods of communicating one’s brand to a target audience should be harnessed. In many cases, content marketing provides the appropriate avenues for audience stimulation. Most marketers now rely on social media platforms such as blogs for their B2B lead generation. But these prove to be ineffective owing to the lack of direct contact. Telemarketing, on the other hand, is still a popular channel for audience nurturing. This is because direct person-to-person communication is preferred in building interest and awareness. But to truly succeed in “snaring” a prospect, one needs to have the appropriate attitude. Now, different marketers have their own approaches in lead generation telemarketing. But one tip seems to stand out from the rest: be romantic. Now, this is not about courting a prospect the way you do with someone you are eyeing. But contacting a lead falls under the very same conditions, the common denominator of which is attraction. You are attracted to a prospect which suits your profiling scheme, thus you exert a lot of effort in attracting it towards you. It is a process that requires a lot of skill and charm. So, are you that skillful and charming in handling prospect engagements? If not, then consider these important tips and win B2B hearts and minds. Have a positive attitude. The first thing to do before picking up the phone is to be positive. Yes, most marketers find it difficult because they will not know whether they get rejected. But anticipating a rejection can diminish one’s morale, thus it is always a good idea to think of things other than a rejection. Plan ahead. You do not approach someone you like spontaneously, catching them with their defenses down. Before deciding to contact a prospect, it is essential to know whether it is the right person to call. Check if it matches your criteria and subject it to your lead scoring system. If it proves to be a qualified lead, then make the call. Discuss about needs, not wants. The problem in telemarketing usually stems from the actual conversation. Marketers often make the mistake of not focusing their topics on one particular subject, resulting in poor retention. Avoid this scenario by framing the conversation on the present needs of your prospect. Give them reasons that you are needed to fill the void in their lead generation and not just a partner for the short-term. Fancy alliterations aside, any business wouldn’t just deny the many benefits of an efficient and persistent B2B telemarketing campaign. For all its worth, it is deemed as the lifeblood among B2B companies that are eager to grow their industry following and revenue generation. The thing is that capital growth is partly attributed to a consistent marketing plan. This is a shared truth among marketers in lead generation and appointment setting as it really does matter to have a stable marketing structure in place. But, no doubt, the practice of lead generation telemarketing considers additional apparatuses. Aside from an efficient lead management database, it is imperative for B2B enterprises to have competent individuals handling their cold call campaigns. Apparently, many businesses have failed to optimize their appointment setting processes. This is demonstrated by poor sales closes. One compelling reason for this is attributed to poor telemarketing conduct. Cold calling is a risky venture. The lack of initial engagement with a prospect comprises the danger of getting a rejection. Because of this, marketers should have to approach their cold calls expertly. But expertise is something too general a word. Indeed, concrete ways should be considered for your lead generation telemarketing to drive you towards your goals. It only takes one word to get your audience’s attention. Say a few more, and you might just drive home an appointment. Courtesy is an important facet that your telemarketing personnel should possess. Customer engagement after all is professional and personal, and it makes a very significant difference to choose your words carefully. Always assume that your cold call contacts lack a thorough understanding of your company and your products. What they possess, however, is a thorough understanding of their own industry. Cold calling is all about interpersonal sharing, where one benefits from the other. The prospect is facing issues, and your role as a solutions-provider is to help them resolve these issues. For the satisfaction of both parties, business discourse has to revolve around industry-related facts. Your prospect clearly wants concrete results, so make sure that your messages are comprehensive in content and short in length. And speaking of short, a time element has to be considered. B2B leads are a tricky bunch. Some of them rely on gatekeepers like voice messaging services in order to segregate relevant messages from the irrelevant. Indeed, these often take the ire of most marketers. But you might as well leave a compelling message that would merit an eagerness to engage. Lead generation telemarketing is really worrisome. Small companies often struggle with the fact that they lack the necessities to be efficient at it. However, one can always go for an independent outsourcing company that has lead generation and appointment setting capabilities to fill up business vacuums and ease out intricate elements. It is good to have mentors. You just cannot underestimate the knowledge and experience that mentors can share with you. This is especially true if you are in the B2B telemarketing services. This so happens to be a business that, although many are saying is fast disappearing, is still getting a lot of positive reviews from the companies that use them. 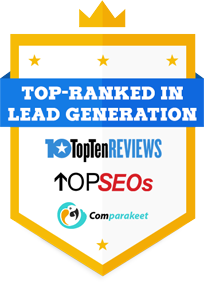 In the search of qualified B2B leads, this is said to be the best. If you want to be successful in your marketing efforts, you might want to get someone to help guide you in the intricacies of this business. You might find yourself having lesser problems with regards to generating sales leads for your business. But how will you make this mentorship work with you? First of all, you have to set clear expectations. To start with, mentors are no mind readers. They may know a lot about their business and the industry in general, but they may have no idea about yours. You have to talk to them, explain to them what you needed to know. On the first meeting, you and your mentor should be able to come up with a plan on how you can get the results you wanted, or what form of B2B lead generation strategy you should be using. Second, have mutual respect and understanding of each other. This is, without doubt, one of the most important factors in the mentorship set up. If the two of you do not see eye to eye, instead of getting anything done, you two might end up arguing. Now that is a real waste of your time and effort. That is why, during the selection phase, you have to choose a mentor that would fit well with your personality. Your B2B appointment setting plans would be dependent on it. Third, have some sort of reciprocity in place. Mentorship is a two-street, remember that. Both of you can learn from each other’s strengths and weaknesses. If you are, say, the best in customer service, while your operation floor needs some organizing, you can ask help from an expert in operations management. In return, you can give him tips on how to be better in his company’s customer service. This is a win-win set up, if you can do it right. It is all about reciprocating goodwill with each other. Lastly, you and your prospects must have shared values. This will help establish a common ground between you and your prospects. Maybe both of you are very active in the community, always ready to extend a helping hand to those in need. These are just some of the things that you can share with your mentor. This can mean a big deal in building a relationship with your mentor. What is important here is that you have something common to share with each other. Having a mentor can be a great help for your B2B telemarketing services in Australia. As long as you choose right, you will be in good hands. This is what you’ve told John, a persistent telemarketer on the phone who’s been trying to convince you to hire them, a B2B lead generation company, to perform telemarketing tasks for your business. The problem is just that you don’t have enough faith left in the process because you’ve already been there, and things didn’t go as planned. You just don’t want to do it again and true enough, nobody can hold it against you (sorry, John). But at least you’ve got to find out exactly what happened back then, right? That’s all there is. It could be one, two, or all of them, but for sure, the fault will not go beyond those three. You need to do a little introspection, see beyond the failure, and ask, why did it fail? Just because they’re a lead generation company doesn’t mean they are faultless when it comes to producing results. To start with, there could be a lot of loopholes in their system: incompetent agents, lack of support from leaderships, substandard equipment, lousy IT infrastructures, and so on. It is important, should you decide to give another company a chance, to seek for testimonials from businesses that have gotten their services. Investigate on the things regarding their practices that you may not like. Consult one of your own IT people to assess their systems. Make sure they’re in tip-top shape before they do business with you. If in doubt, don’t. What could I possibly have done to ruin my own campaign, you might ask. Well, you may have set unrealistic expectations and goals. Most B2B telemarketing agencies won’t tell you if your targets are unreasonable (of course, they’re trying to show-off a bit, that’s all). Or perhaps, on the other hand, you may have been very vague about what you wanted to achieve. You can’t just give them assignments and leave them hanging in the air, and then pop back when the deadline’s up. For all you know, the company you’ve hired may be the best out there, but you just didn’t use them the logical way. Blend it all together, and you’ll understand why it all boils down to the relationship between you and the agency. There’s the issue of trust, of transparency, of feedback, of authority, and the list could go on. Just look back during the days when the campaign was still on-going: how often do you check up on them? How are your conversations with the team leader? How did you overcome difficulties along the way? Were there any conflicts? Would you say, with all honesty, that it was a pleasant, productive relationship? admin https://www.callboxinc.com.au/wp-content/uploads/2019/01/callbox-logo.png admin2013-10-15 03:53:382017-04-18 08:02:48"We’ve outsourced our B2B telemarketing before –umm, it didn’t work"
You know that a B2B lead generation campaign is dependent on the capable handling of your marketing team. You need to plan well, select the right people, target the right market, and choose the proper communication tools that can maximize your impact on potential sales leads. Working solo – now, being the lone wolf may be good for B2B appointment setting negotiations, since this mitigates the impact of failures, but having different contact points for a single prospect can provide you with added flexibility in case one marketer is unavailable. Besides, if you let your lone wolves work on a deal, there might be no support forthcoming from you since you were in the dark in the first place. B2B leads overflow – yes, while the thought of filling your sales pipeline with business prospects in appealing, you have to admit that this could spell badly for your business. I mean, you have to know just where to stop accepting orders, before you become unable to deliver to them all. It would be really embarrassing if you fail to deliver what you promise your prospects. Chasing bad leads – all right, there will be times when your telemarketing team finds a prospect that is so irresistible that they would chase it to no end, even if there are signs that this is already a lost deal. When that happens, well, you might have to step in and make them stop. There are other prospects that you can chase, other business opportunities that you could earn. Over-promising – yes, you want to impress your business prospects, but you telling them things that you would be unable to deliver are an even much worse practice. Unfortunately, a lot of marketers make that mistake, causing them to lose the deal. Better be straight, tell your sales leads prospects what you can or cannot do. That would be more appreciate by your prospects. Acting all high and mighty – this is one aspect in business that cannot be avoided, especially in cases where a single person seems to be getting all the deals. It might be a really good idea to talk to that person and let them know that, though they may be very successful, working well with the team is also important. If they cannot manage that, then you might have to let them go. Keeping such people in your marketing team will only poison the workplace and affect your work. Sounds familiar to you? These are just some of the bad habits that you should get rid of in your B2B lead generation campaign. In the course of our B2B lead generation campaigns, we would often encounter various practices that seem to help us do our work. While these may be rooted to tradition, cultural dictates, or just probably got feeling, these are not to be taken lightly. If these can bring us the B2B leads that we need, then by all means we should use these. But what about those marketing tactics that cause us to lose sales leads? Maybe we need a closer look to understand this. These may sound like real appointment setting advice, but these may actually be nothing more than myths. And there are a lot of these myths you should get rid of, mind you. And of those myths, the most damaging are the ones listed below. 1. “You need to be pushy to make a sale” – recall that one time when you have a really good experience while making a personal purchase. Was the seller being pushy to you? If not, there you go, that confirms that the above quote is just a myth. You see, to be effective in lead generation, it is not enough to have something to sell. You also need to know if your prospect is going to buy. If not, give them a reason to, but in a very subtle and gentle manner. 2. “I cannot directly reach my buyers” – now, this is a problem that one often encounters in a telemarketing campaign. You call, someone else answer the phone, and pretty much most of your conversation is spent on that person. Now, most amateurs would see this as an obstacle and give up, but veterans would see this as an opportunity. They could use this contact to mine more information about the target prospect, making your next call more successful. 3. “I do not want to bother the B2B leads prospect” – again, this is an erroneous assumption. You see, if you have something really good to offer, then who are they to reject your call? In fact, they might even hold it against you if you do not immediately contact them. Actually, you can integrate other marketing methods, aside from the phone. You can use social media in tandem, subtly informing your prospects about your business. 4. “I am not that quick on the reply” – if you fear that you are too slow, that you might not be able to answer quickly any inquiry of your prospective sales leads, then you will be. The mind has quite an influence on reality. But, if you think you can, if you think you can do it, if you think you can be your best, then that will also become a reality. So be confident and just do it. 5. “I cannot find the right words to ask for the sale” – honestly, you are asking for the sale, nothing can be simpler than that. No need for fancy words or the like. Just ask them if they are interested with your offer or not. Really, you can do away with these details, for the sake of making your lead generation campaign a success.